Composite fillings allow you to invisibly restore and protect your damaged teeth. They replace the unattractive metal fillings giving your teeth a more natural look and feel. Composite fillings are effective in restoring teeth because they resemble teeth in form and function. The composite fillings are widely used because they are durable, versatile and bonds firmly with the teeth. Composite fillings are fracture-resistant and can withstand chewing pressure. Composite fillings look great on your teeth. They are safe, reliable and long-lasting. Composite fillings tooth restoration involves chemically bonding the fillings to the teeth. In most cases, numbing (anesthetizing) of the area being restored is not required except when the tooth decay has progressed beneath the enamel into the underlying dentin layer. During your visit, the dental decay is removed, your teeth are cleaned and a primer (weak acid) is applied to the area being restored. The purpose of the primer is to open up pores in the enamel for curing. 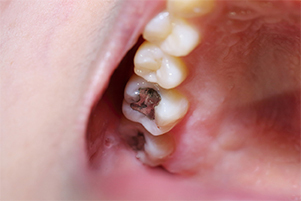 Once cured, the tooth-colored filling is placed inside the tooth. The tooth-colored filling is then shaped to resemble the natural structure of your tooth. A strong curing light is applied to harden the tooth. Dr. Flora Stenger DDS performs comprehensive composite fillings placement for all patients in Laguna Hills. She examines your teeth to make sure fillings fit properly and conducts due diligence to ensure you can floss between your teeth the right way. The last step involves polishing and smoothing your new dental fillings. Once the composite fillings are securely bonded to the tooth structure, the procedure is essentially complete. This whole procedure is carried out in just one visit but it may vary depending on how much of your tooth needs restoration. If you suspect you might be having tooth decay, contact best family dentist Dr. Flora Stenger to have them fixed. Scheduling a consultation with a dentist will help you determine whether composite fillings are the right option for restoring your teeth. Dr. Flora Stenger and her expert staff offers for patient-focused dental care for you and your family so that you can achieve your dream smile with ease. Contact us to schedule your free appointment today.